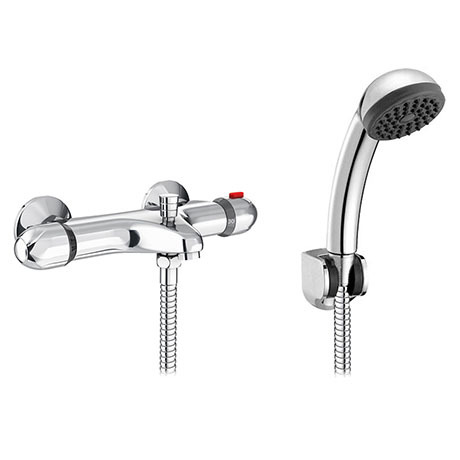 A exposed thermostatic bath shower mixer with Shower Kit - part of our contemporary collection of bathroom products. Modern styling with chrome finish and constructed from solid brass. Supplied with a Shower Hose, Shower Head and Wall Fixed Bracket. This Bath/Shower Mixer is designed to be wall mounted, the mixer is thermostatic allowing the user to control the temperature from the bar valve. The valve is complete with a diverter to control function between tap and shower. Q. Would this be suitable for a 0.1 bar gravity fed system?